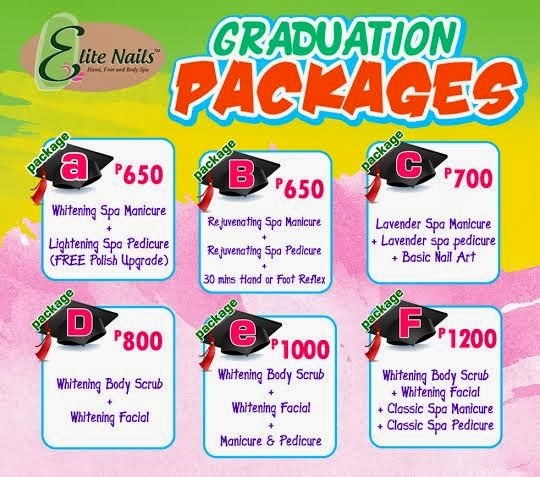 This March, Elite Nails & Spa salutes the graduates! We understand the hardwork it takes to finally climb up the stage and claim your diploma.So we want each of you to be at their best. Could be a gift to someone special or to yourself, it will definitely make someone’s graduation day much more special. Matching the excitement of this momentous event is a pampering you will remember. A stress-free look in a very affordable cost, in several packages that would suit you. A picture perfect skin that is fairer and healthier that give you a lovely picture-perfect finish. And a confident gait as you march on the stage. You don’t have to worry about looking good in your dress or shy away from strappy sandals, our Whitening facial and Body treatments and Nails Spa will do the trick. Elite Nails & Spa is proud to be part of your celebration this Graduation day. So come along and we’ll give you a very rewarding experience. Traditional Hilot with Banana Leaf.